Single module multi-functional chip mounter. Mounting parts: LED, capacitors, resistors, IC, Shaped components, etc. Electronic feeder feeding system, Vision for the flight identification, MARK correction, Non-stop refueling capabilities, Auto-optimization feature after coordinates generated, etc., At the same time the production of two different products. Visit customers regularly and gather information. 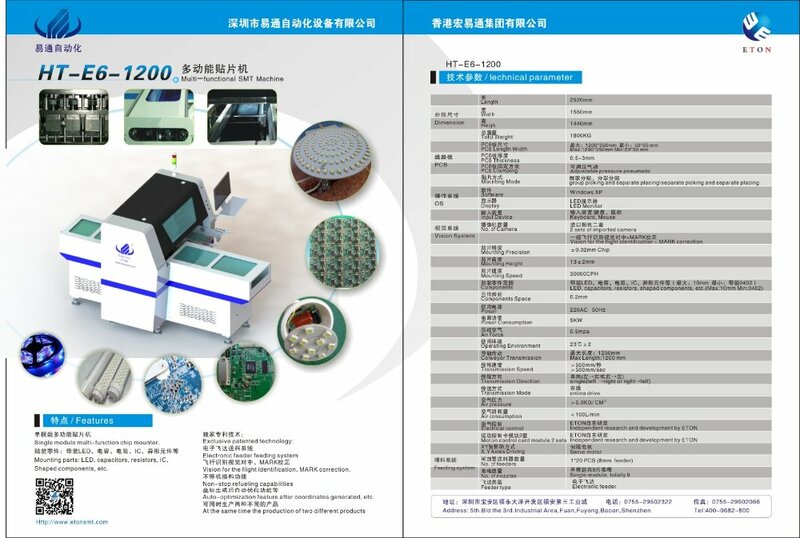 Not only we will provide the fastest,most stable and most complete LED pick and place machine for you,but also we can make the most suitable plan for you to save labor cost. If you're interested in our products and want to enter LED lightbusiness, please contact me at any time. Thanks!